We all love using hot water. But the way things are going, we will really have to be smart about how we use it. Hot water systems is the biggest user of energy in the house. And energy continues to be one of the biggest costs in a household budget. But don’t worry. I can show you how you can save energy and money at the same time. Solar water uses the sun’s energy to heat the water. So, by simply converting your gas or old electric hot water system to solar, you could save as much as 50-90% off your hot water energy use. Solahart is Australia’s leading solar manufacturer. For 60 years, they’ve manufactured and supplied over 1 million solar hot water systems in Australia and overseas. Each unit is designed to maximize the draw of the sun’s energy, heating the water which is circulated through to the storage tank. When it comes to choosing the solar hot water system that’s right for you, there are two main options. The first one is this roof mounted tank and collectors unit which is often referred to as a thermo-syphon system. The second option is a split system where the tank is located in a convenient position on the ground and is connected to collectors positioned on the roof. 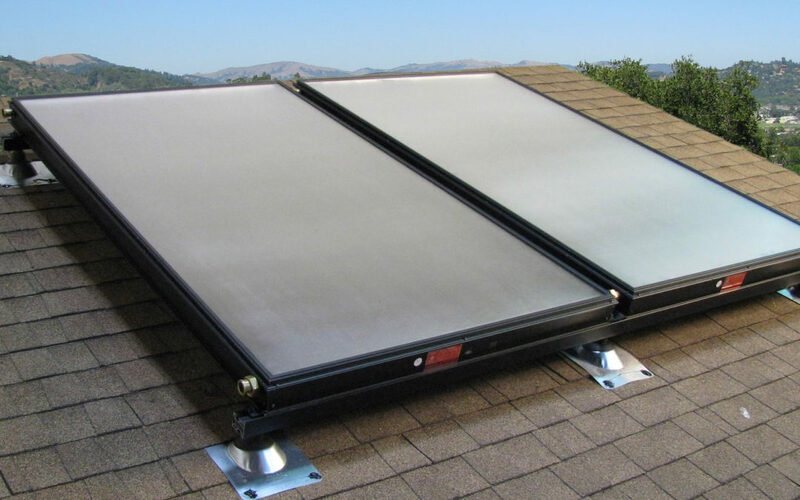 The basic solar hot water system costs $5000.00 to purchase and then to install. There is still a government incentive scheme up and running of around $1000 off the price of a solar water heater. And, this is usually given as a point of sale discount to reduce the upfront costs. Solahart has emergency replacement units which insure you still have hot water in an emergency situation, while you wait for your solar hot water heater to be installed. It’s estimated that by changing to a solar hot water system, you can reduce greenhouse gas emissions by up to 3 tons per annum. Now, that’s the equivalent of taking a 4-cylinder car off the road. Can you imagine if we all did that? How good would it be for the environment? Solahart offers a free, in-home assessment service. Why not give them a call and get your hot water free from the sun?